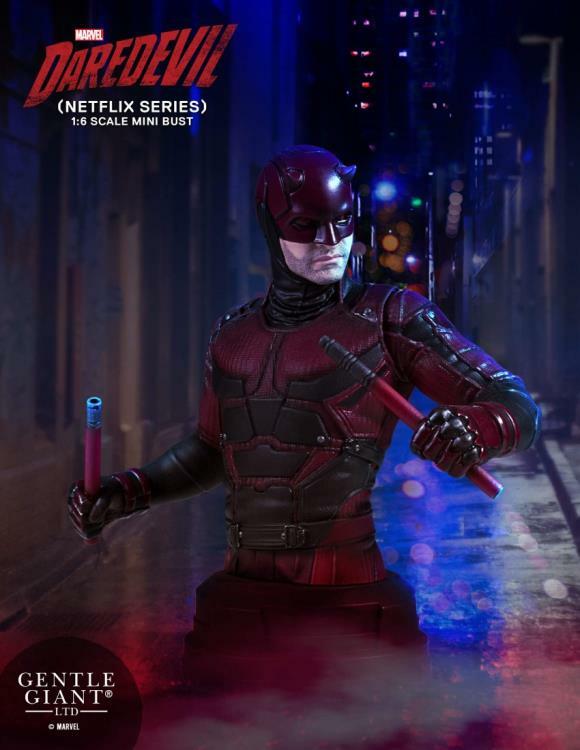 Blinded as a young boy, Matt Murdock fights injustice by day as a lawyer and by night as the Super Hero Daredevil in Hell's Kitchen, New York City. 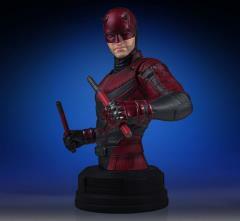 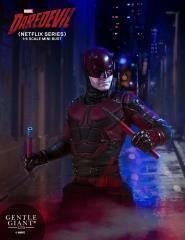 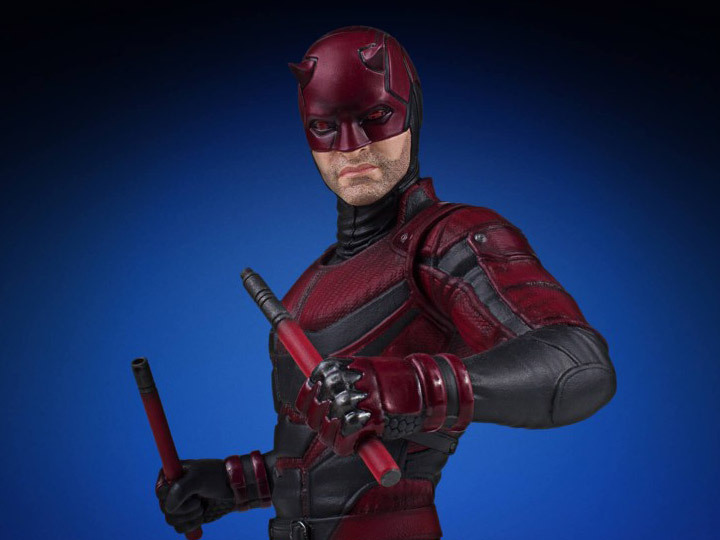 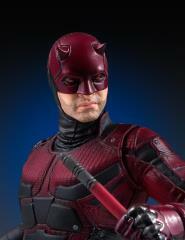 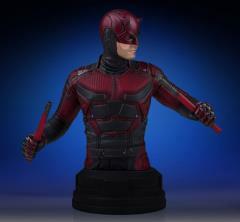 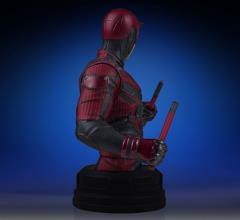 Detailed crimson hues wrap body armor, knuckle duster gauntlets, blood red eyes and signature horns that characterize Season two costuming of the Netflix Original; Daredevil! 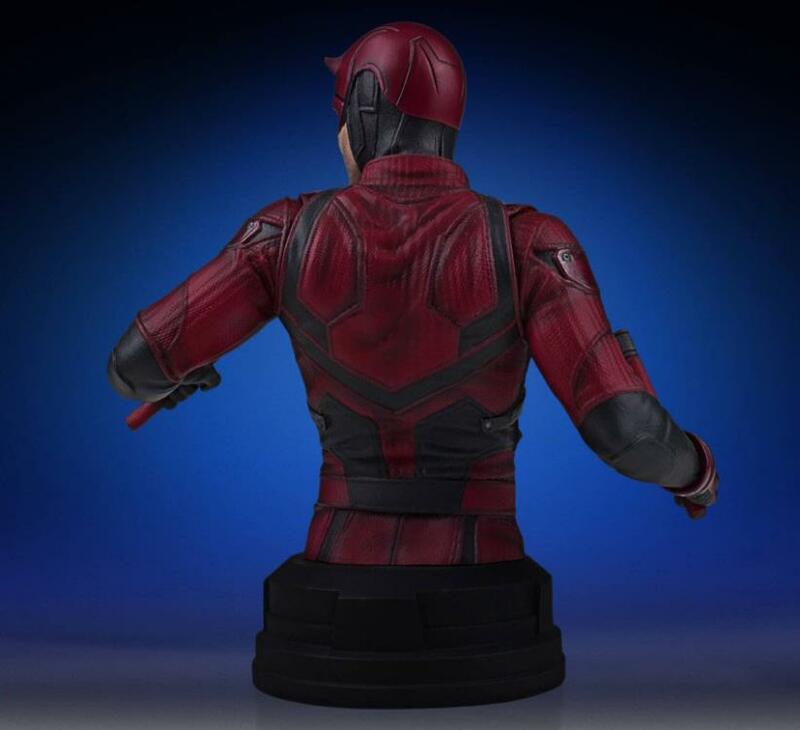 Embedded patterns, textures, folds and intricate stitching are all digitally sculpted into this impressive Poly-Stone collectible. 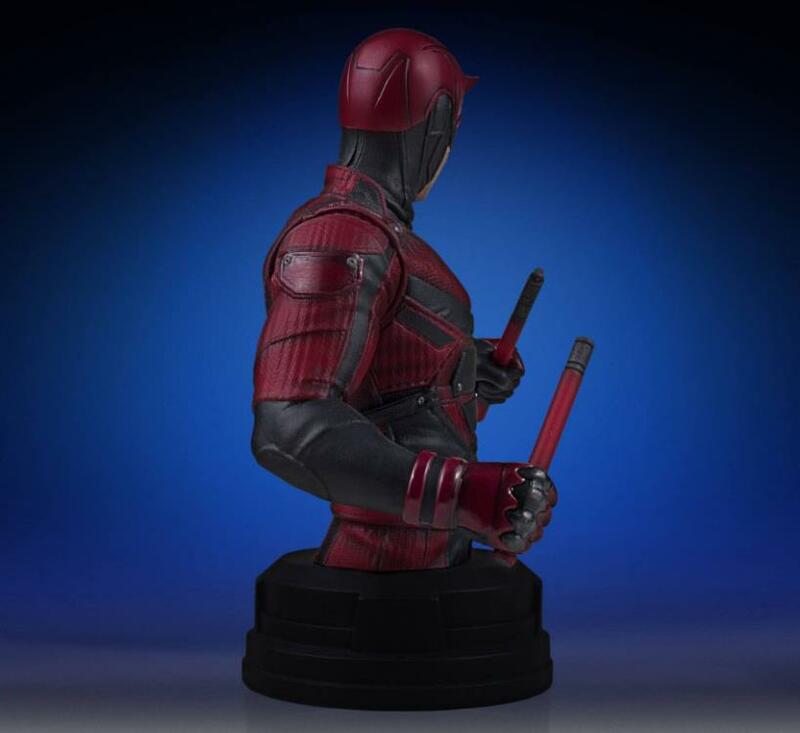 This limited edition, hand-painted mini bust comes individually numbered and is paired with a matching Gentle Giant certificate of authenticity.